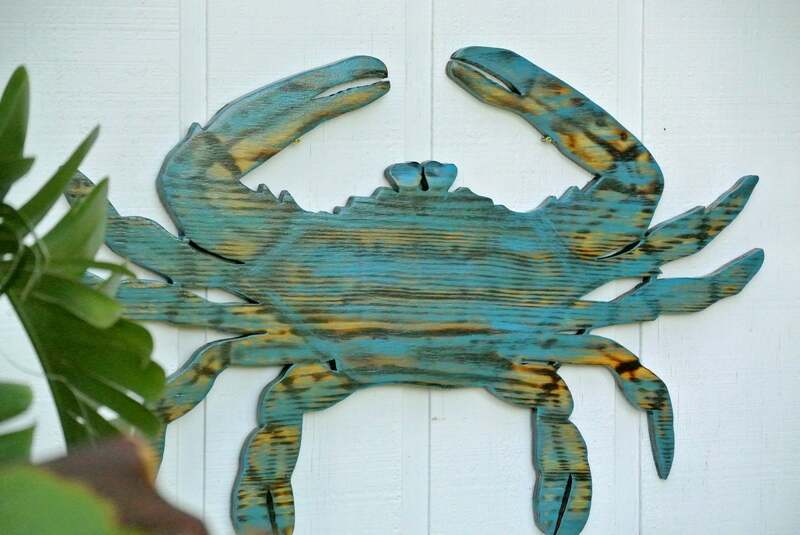 Wooden Blue crab wall decor sign is ready to be displayed inside your home, beach house or on your deck. 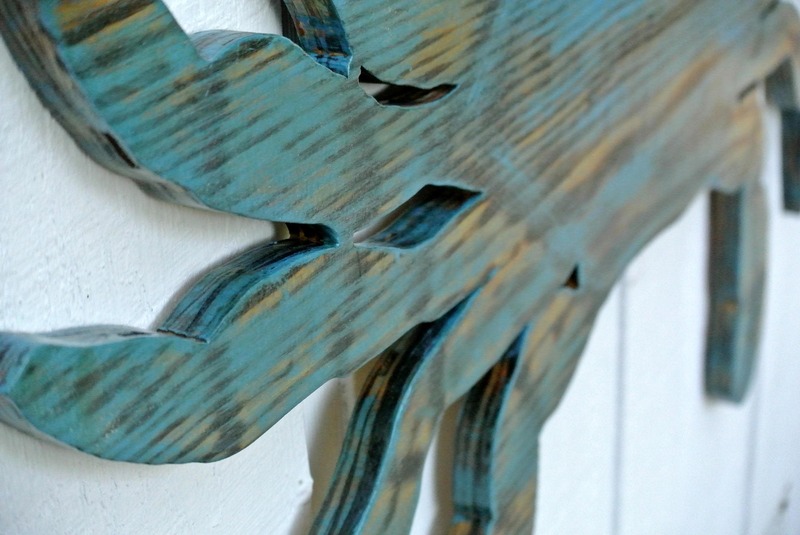 This is a wonderful gift for any occasion such as birthday, housewarming and other. 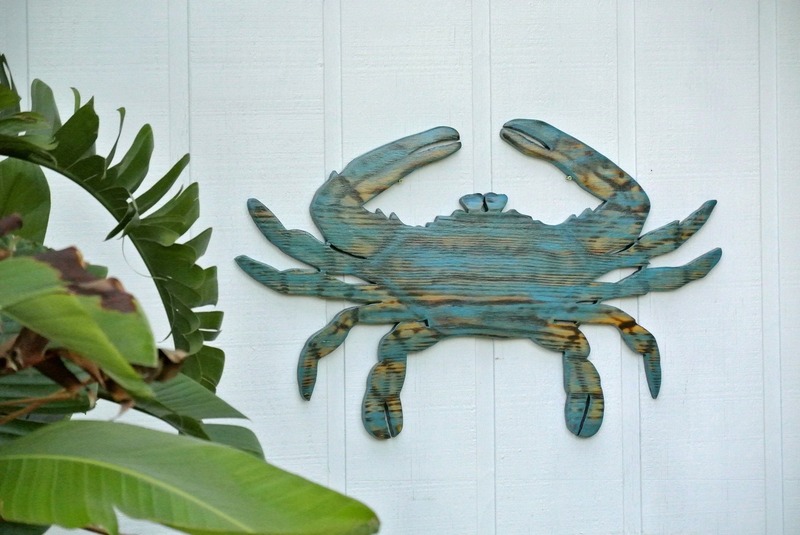 The sign is hand cut from high quality wooden board, decoratively burned, hand painted and coated special for you in Key West. Our Special Burning Technique gives this crab unique beautiful look. Could be painted in any color you like. 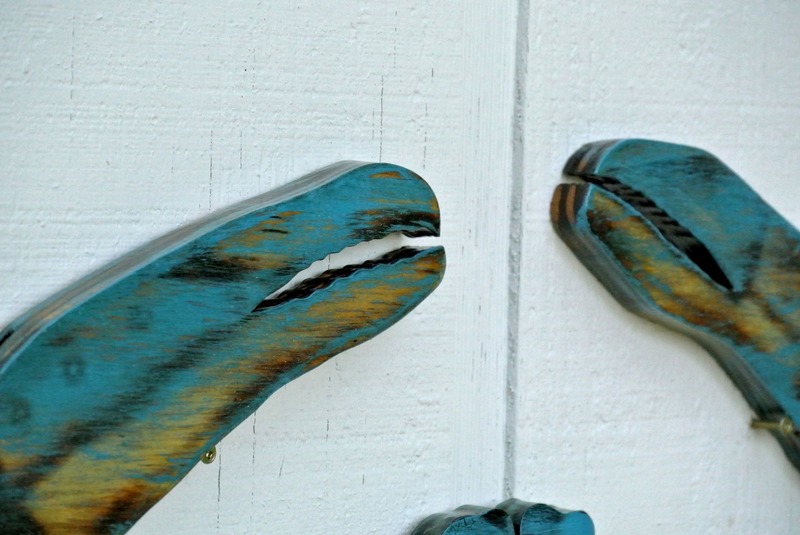 Has two keyholes on the back side for quick and easy wall hanging. Ready for indoor or outdoor displaying for years to come. 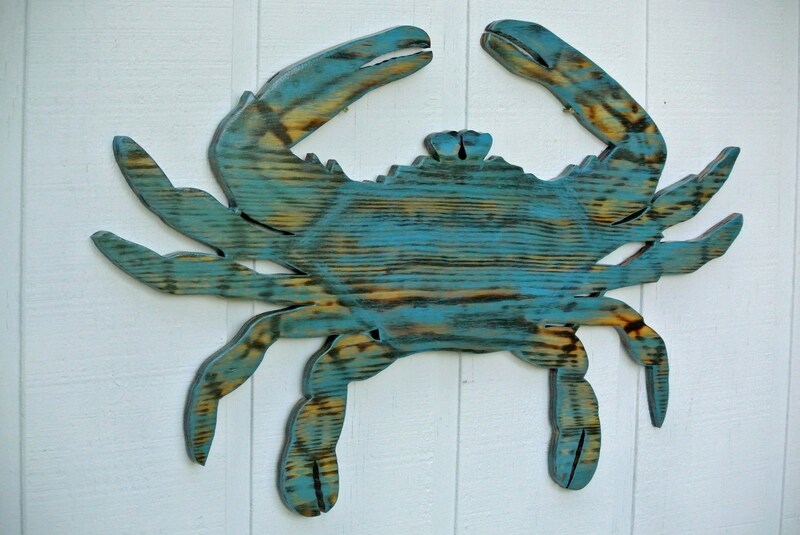 You want different crab - you are Welcome!!! Any crab you like!!!! We will make it for you!!!!!!! just message us for price.